← Windows 8 and GNS3. Already? After completing it, I thought it would be nice to share some things on this blog. 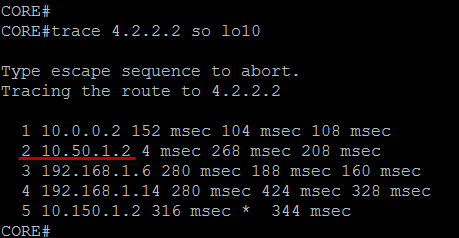 Yes, I know that BGP is around for eons and that all about it was said, but when I try to learn something, often I need to find more than one document, the one that is written “for me”. So, perhaps this blog will find a reader out there. We have AS65001, which is an enterprise, AS65002 – the ISP and AS65003 – some Internet organization we are connecting to. We are using private AS numbers here. In real world we would go for something public. 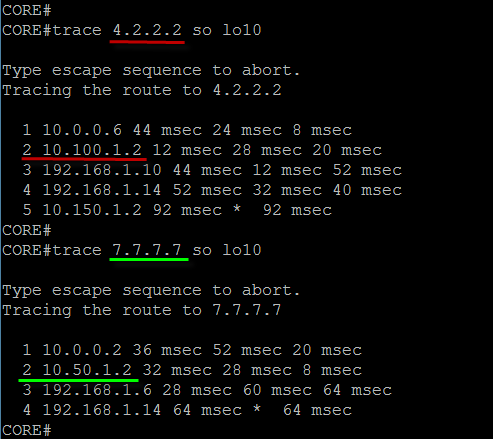 The enterprise is using EIGRP for routing, and ISP is using OSPF. 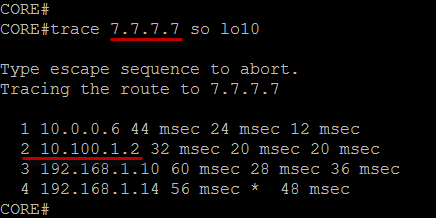 These IGP protocols are used for exchanging Loopback0 IP addresses which are used for BGP connections and next-hop reachability. We would like our outbound traffic to take another path, via CE2-PE2. Of course this means that our traffic will leave our AS using 64Kbps link, as demonstrated above. We will now change this by using weight. 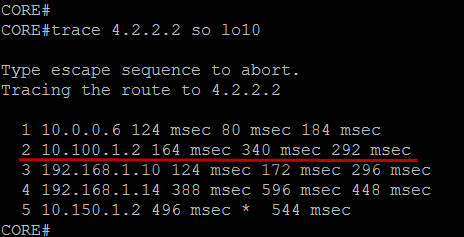 Don’t forget to do a clear ip bgp * soft on CE1 and CE2 after changing weight. We can see that now traffic is leaving AS65001 via 100Mbps link and CE2. Previously it was leaving via CE1. 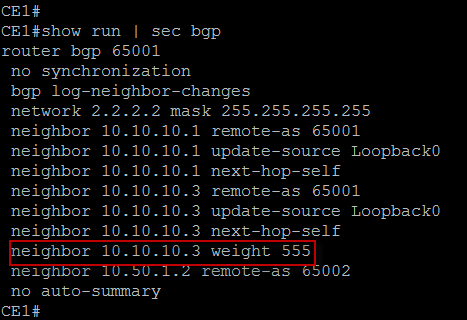 What is wrong with per neighbor weight? Well, one obvious thing is we can prefer one path over another for ALL prefixes. In our case, CORE would go CE2->PE2 for 4.0.0.0/8, but would also take this same path for all other destinations. What if we would want it to take CE2->PE2 for 4.0.0.0/8 and we don’t care about other prefixes? We created a prefix list that matches 4.0.0.0/8 exactly. We could use an access-list as well. 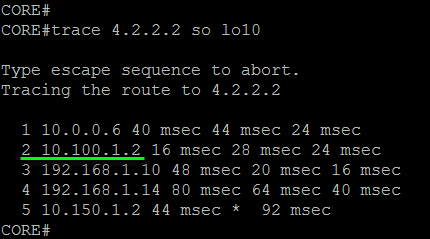 Then we use this prefix inside a route map. We match the prefix and set a weight for that prefix to be 555. Please have in mind that we must have an empty match/action entry at the end of a route map. 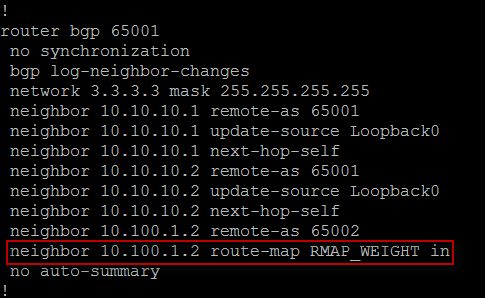 If we didn’t, we would assign a weight of 555 to 4.0.0.0/8 and drop all other prefixes received from a neighbor we applied a route map to. 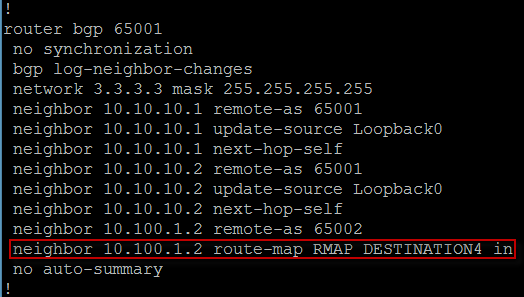 Finally, we applied a route map on CE1 to neighbor CE2. 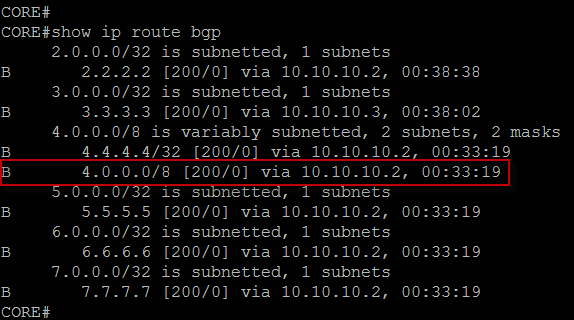 This is another way of choosing outbound path with BGP. Why would we need yet another way? 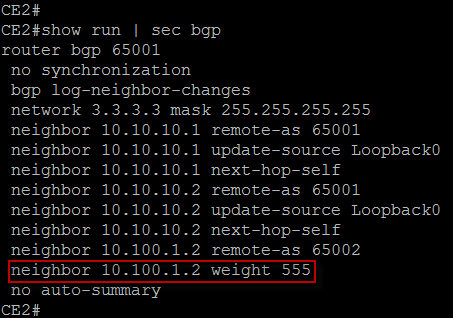 Well, for starters, weight is Cisco proprietary attribute, which means there is no weight on, say Juniper. And weight has only local significance. This means we may have to apply it on several or all routers, such as in our case, where we applied it on both CE1 and CE2. 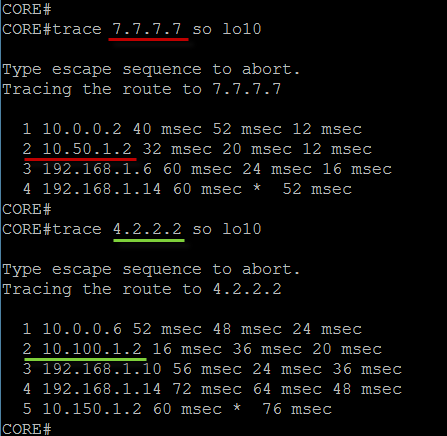 Local preference comes right after weight in BGP path selection, so it is still strong mechanism of preferring a path. It is not limited to a local router, but spans the entire autonomous system. 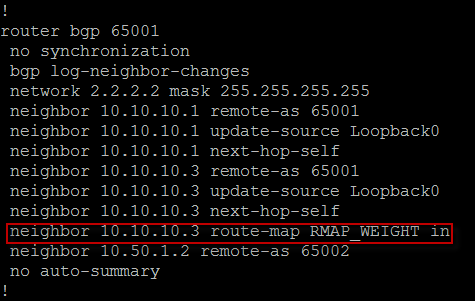 This means that we can set a local pref on one router for some prefixes, and it is sent to all internal neighbors along with prefix updates. It is removed on eBGP sessions, so it stays within a local AS. 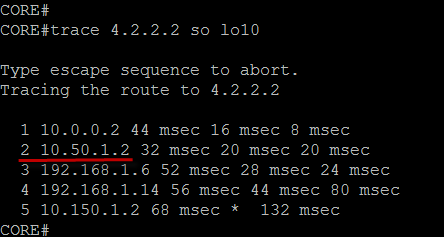 Good thing about local pref is that we don’t need to change anything else anywhere within our AS, and all routers will chose CE2 to exit the AS. It’s that easy! Now we match our prefix with an ACL instead of prefix list. Then we use this ACL inside a route map. Again, don’t forget an empty permit statement, otherwise we will block all other traffic. And sure enough, this is exactly what we wanted to accomplish. 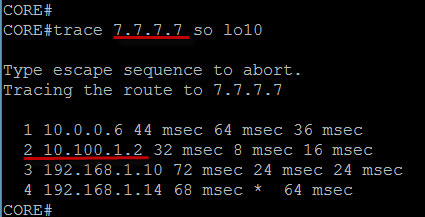 Ok, that’s all about outbound path selection. I will try to find some time to blog about inbound path selection with AS path prepend, communities and MED. 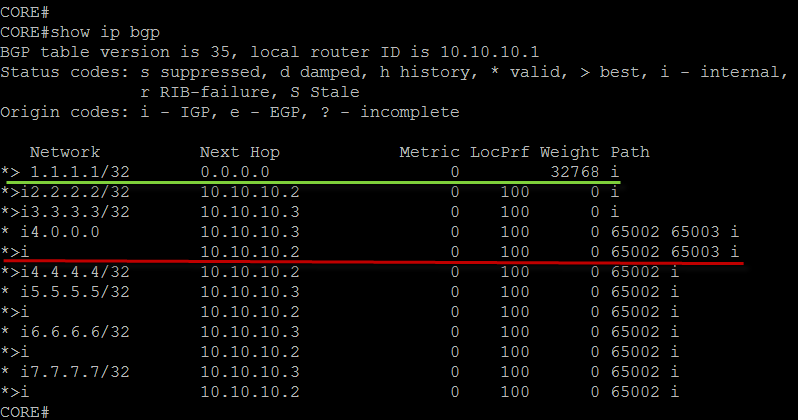 This entry was posted in BGP, Cisco, IOS, Routing and tagged bgp, local preference, path selection, weight. Bookmark the permalink. Thank you very much, it’s really help me to understand the configuration well. Wonderful post about influencing outbound traffic in BGP. BTW, have you made any post for influencing INBOUND traffic on BGP yet??? ?